Professional Location-Awareness is … the Location Engine | Location Running. Professional Location-Awareness is … the Location Engine. The Engine is driving the sports car … the Location Engine is driving quality location data fueled by raw position information from tags and location infrastructure. nanoLES 3 – nanotron’s Location Engine and Server – runs standalone and as a background service. Now available for Windows and various Linux distributions. 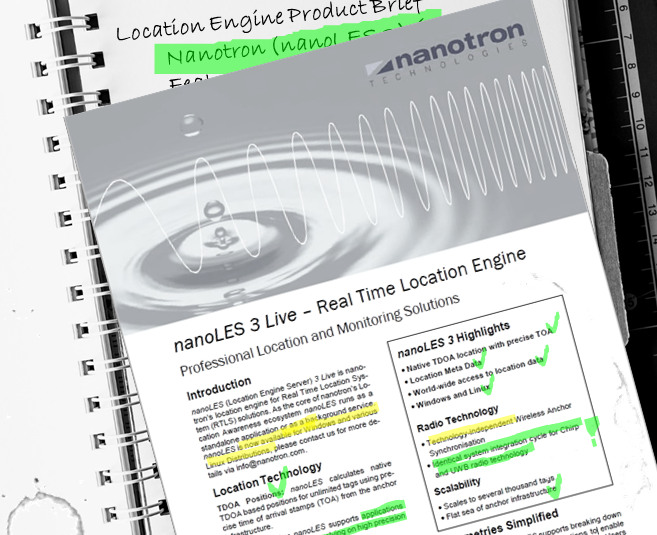 Get the latest Product Brief of nanoLES 3 Live here.